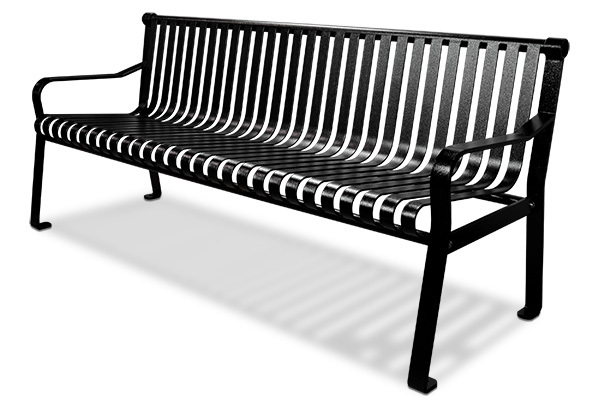 This classic style heavy-duty steel bench is built to last. Manufactured to withstand the rigors of commercial use, the backrest and seat are constructed from 1-9/16" x 3/16" welded steel bars while the arms and legs use 2" x 1/2" steel. This imported bench is perfect for any indoor or outdoor setting. Its solid textured powder-coated finish will provide full protection against rust and corrosion for years. Simple and easy four piece six bolt assembly. Stainless steel security hardware is included.